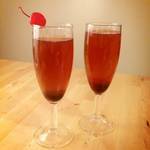 Grenadine – who knew it was so easy? Happy mothers day to all the mamas out there! I will keep this post nice and quick since I am making dinner for my parents tonight and need to get started with prep. I promised you guys the grenadine recipe I used for these Shirley temple cupcakes so that’s what I’m going to share today! 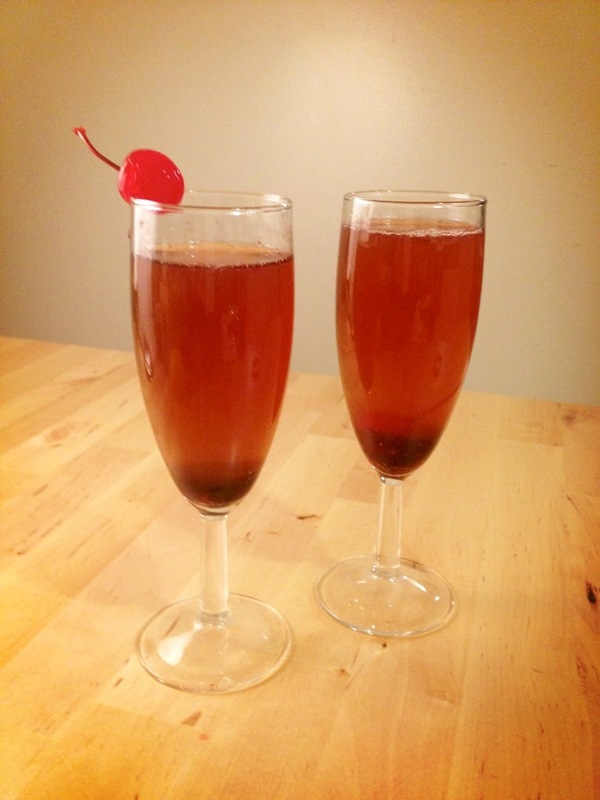 Store bought grenadine is essentially a chemically-filled, red sweet syrup – high up on the ingredient list are high fructose corn syrup and red dye #40. I don’t really find that this syrup has anything to offer other than its bright red colour. Real grenadine is a syrup made from reduced pomegranate juice. A good quality pomegranate juice is quite easy to find these days and fairly inexpensive if you look in the right place (my recommendation for fellow Edmontonians is to try the Italian Centre Shop). To sweeten the juice you can either use granulated sugar or a brown sugar which will result in a caramel-like flavour. 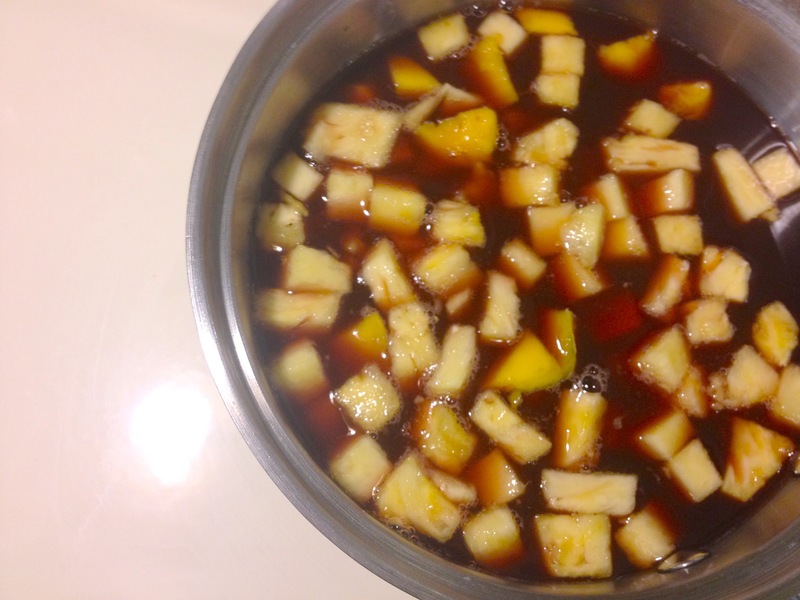 You can also add lemon juice or other fruits (mango, pineapple, pear etc.) to the juice to help your grenadine develop a more complex flavour. The variation I made has mango, pineapple and brown sugar but feel free to experiment and tailer to your own tastes. The pomegrate juice is reduced over a constant simmer until it thickens and you have a nice concentrated syrup. 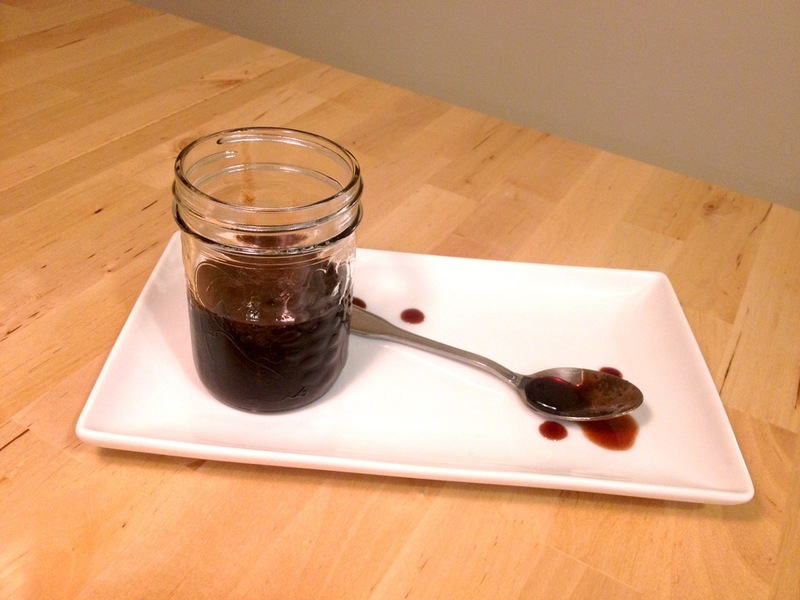 I reduced mine by about 2/3 of the initial volume and the result was a very thick, almost molasses-like syrup – perfect for using in baking. You may want to keep yours a bit less concentrated and less thick depending on what you are using it for. For cocktails, reduce by about one half the original volume (20 minutes of simmering). And remember, the syrup thickens as it cools. So what are some common uses of grenadine? It can be used in cocktails (alcoholic and not) such as Tequila Sunrise and Shirley Temples. Of course, it can be used in baking these cute Shirley Temple cupcakes, but is also delicious just drizzled on ice cream or sorbet. Pour the pomegranate juice into a heavy-bottomed saucepan. Add mango and pineapple. Over low-medium heat bring just to a simmer and reduce by about one quarter. Stir occasionally to make sure fruits don't stick to the bottom but do not stir constantly. Add the sugar and reduce a bit more - until reduced by about one half of the original volume. If you want a thicker syrup, continue simmering for 5 more minutes. Let cool before using in baking or cocktails. Grenadine will last for at least 2 weeks in the fridge.